As a company, our goal is to help individuals throughout a full continuum of rehab care, from injury prevention and performance to rehab and return to sport. 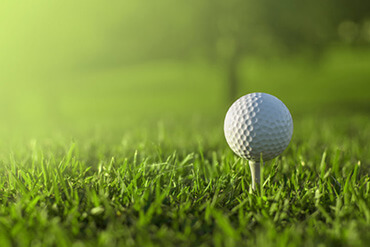 This service allows us to better fulfill that mission for individuals in the golf community. As a Titleist Performance Institute Certified Physical Therapist, Brett Armstrong (DPT at Peak Physical Therapy) has obtained a skill set to assess how a golfer’s physical attributes will impact the efficiency of their golf swing. This skill set, along with his understanding of the human body, allows Brett to tailor unique intervention plans that will help you to recover from injury while at the same time gather the necessary “physical resources” to achieve a maximally efficient, powerful, and pain-free golf swing. Your individualized plan may include manual therapy treatments, stretching, strengthening, and functional drills, and could also include collaboration with your golf teaching professional, who would have the specific knowledge to adjust and tailor the golf swing itself. The TPI strategy is to screen golfers utilizing an assessment of swing mechanics and biomechanics, physical fitness, movement quality, current health and history. The physical screen allows me to determine if a golfer has the physical resources (kinematic sequencing, range of motion, strength and coordination for the trunk and hips, etc) to achieve an efficient and safe golf swing. As TPI calls it, this is the “Body-Swing Connection”. The screen is able to predict what a players golf swing may look like, and will reveal aspects of the swing that are shown by research to be most likely compromise power, efficiency, and the ability to golf pain-free. As an additional tool, we have a golf simulator in order to film your swing and then provide immediate visual feedback to help you understand the connection between your physical resources and the resulting golf swing. If you have any questions about this service, please contact Brett at Peak Physical Therapy. He will prove to be a valuable resource as you seek a pain-free and enjoyable golf experience, or simply want to become a better golfer.